There’s no denying that technology plays a huge role in most – if not all – business. Although the media typically focuses on large-scale security breaches (e.g. Yahoo, eBay, Target, Uber), 43 percent of cybercriminals are targeting small businesses1. The reason? Because more than half of those small businesses allocate zero dollars to risk mitigation – making hacking a breeze1. 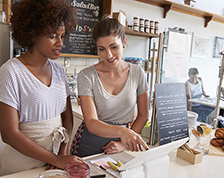 As an owner, don’t think your business is too small to be targeted. Cyberattacks are happening daily and unfortunately, 60% of small businesses that are attacked will close within six months2. 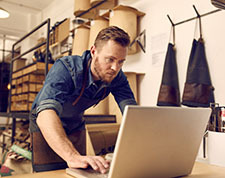 In general, small businesses are at risk for a cyberattack due to their company’s limited resources and lack of preventative systems and procedures. Below are steps every business should take to help prevent an attack. The best way to prevent cyberattacks is to promote awareness among your employees. If they are knowledgeable about the threat, they are less likely to fall for phishing and other attacks. Promoting a workplace culture of caution and informed online decision-making makes it less likely your business will be victimized. Here are some simple steps to follow. These systems can help protect you in the event of an attack and can also notify you of any potential threats. Ensure your devices and systems are protected with strong passwords using special characters, numbers and capitalization randomly. Only provide passwords to employees that need access. Make sure to change passwords whenever you have staffing changes and have your employees change their own passwords multiple times throughout the year. Encrypting information makes it more difficult for hackers to steal data and is necessary if any of your information is sent over the internet. Reach out to your IT professional to confirm your data is encrypted. It’s critical to have a plan in place for the continuation of your business in the event of stolen data or damaged systems. Work with a cyber security expert to help identify the necessary responses for your business and make sure your company has a business recovery plan in place. Companies of all sizes should invest in staffing a risk management professional, or work with an external vendor to ensure company, employee and customer information is safe. In addition, talk with your independent insurance agent and request cyber liability coverage be added to your policy. Cyber liability coverage does not protect you from a cyberattack, but it can protect your business from the fallout after a breach. The cost is affordable and the coverage can be tailored to fit your needs. Disclaimer: This article is for informational and suggestion purposes only. If insurance policy coverage descriptions in this article conflict with the language in the policy, the language in the policy applies. Businesses face risks every day – from software failure to Mother Nature. Any one of these risks could force a business to close up shop. 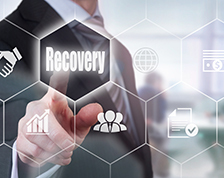 It’s vital that all companies have a business disaster recovery plan that is effective.